Ergun Caner is the current President of Liberty Baptist Theological Seminary. LBTS is a part of Liberty University, the world’s largest Christian university and my alma mater. Caner has recently been under attack (read the Washington Post story and the Christianity Today article) from bloggers and others who say that he has been lying about his Muslim background. As someone who has heard Caner speak in person, I can say that he does indeed indicate in his sermons that he had an extensive Muslim upbringing, being taught daily from the Quran in a madrasa in Istanbul. Who is to say if Caner has been caught in a string of lies? A few bloggers? Please. The point is that at this moment, no one knows for sure. Liberty University has opened an official investigation. I recently met with a pastor who telephone Caner to offer him encouragement. Caner informed him that he was the first pastor to do so. How tragic. Caner then explained how it would take him 2 hours to tell his Muslim background story from beginning to end. In a sermon, he gets to tell about 4 minutes of it (I would guess). So in pulling many different 4 minute tidbits from a 2 hour narrative on dozens of different occasions, isn’t there some chance that someone (a blogger) could get confused? That maybe, just maybe, someone could think they’ve caught someone in a lie, when in fact all they’ve done is miss the 4 minutes that should be inserted between the two they already have? This pastor told me that Caner feels confident that he will be vindicated. And when you have men of God like Elmer Towns saying that “It’s not an ethical issue, it’s not a moral issue”, I would tend to agree. 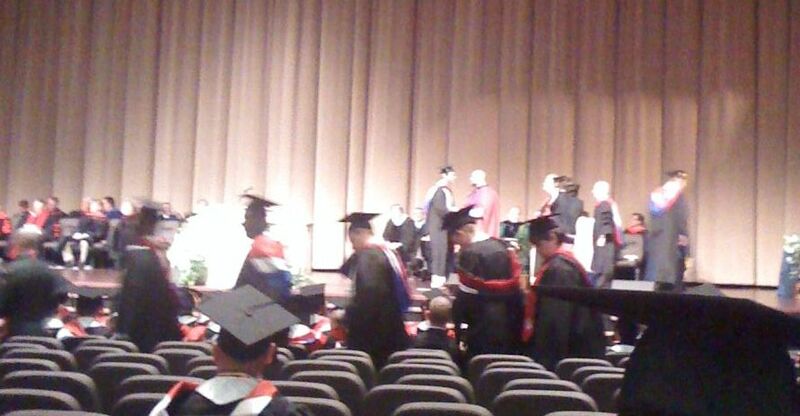 The picture above is of me shaking Caner’s hand on Saturday as I received my diploma. But that’s not the point. I told him “I’m praying for you. Behind you all the way”. And I meant it. 1) Is this not America? Innocent until proven guilty anyone? May I suggest you do some research? But, to cut to the chase, you may wish to check out this particular post from Jason Smathers, illustrated profusely with legal documents that indicate Ergun Caner was living in Ohio from about 1970 on. There’s plenty of evidence to support these facts, and, as of yet, *no* evidence to suggest that Caner ever lived in Istanbul, or even visited there, for that matter. If Caner was taught in a madrasa in Istanbul up until age 4, then moved to the U.S. and continued to be raised as a Muslim….I think he is justified in making the claim that he was raised in a madrasa. Thanks for the comments! One: Madrasas are schools. I know a very minimum amount of Arabic, but “madrasa” is just the word for school. Do you send your kid to school at three or four? Maybe pre-school, but not school. Two: There’s no evidence to suggest that Ergun Caner ever lived in Istanbul. In fact, he appears to have been born in Sweden. And, as Francis Turretin has pointed out, the legal evidence is there that his parents came to Ohio in 1970, bought a house in 1974 and started divorce proceedings not long thereafter. Is he justified, then, in making the claim (as he has on numerous documented occasions) that he “came to America” at the age of 13 or 15 (even the exact ages are inconsistent in different sermons). Is he also justified in making the claim that he learned about American culture from watching American TV while growing up in Turkey, like “The Dukes of Hazzard”?!? The latest he claims to have moved to the U.S. is 1978, and “The Dukes of Hazzard” did not air until 1979. Is there any way to characterize these statements and stories (and others, like his claims to have had numerous debates on college campuses all over the country) other than they are simply bold-faced lies? Thanks for the thoughts. I will say this. I have read about some of the accusations. I have not read them all – I’m too busy. The main point of my blog post was that I believe we should give him the benfit of the doubt (and there is one in many people’s minds) and let the LU investigation run it’s course. I personally understand how it is possible that things could be misconstrued without Caner having done anything intentionally wrong (i.e. lying). However, IF he is proven to be a liar, I believe he will be asked to step down as president, and I think that will be best. I am not here to defend a liar, but to stand by a brother when he is being attacked. I agree that Dr. Caner should be given the benefit of the doubt. However, more doubt than benefit has arisen from his own mouth and writing. I have not seen anyone merely taking sound bytes from Caner’s presentations to make them say what he did not intend them to communicate. If you have mostly only read about the accusations you have missed the clear, unfortunate evidence. Take the recent Associated Press story. In just one source we find the following. [Caner]told The Associated Press in 2002 that he was born in Sweden to a Turkish father and Swedish mother, who brought the family to Ohio in 1969, when he was about 3 years old. He said he accepted Christ as a teenager at a Baptist church in Columbus, and then pursued ministry, getting a degree from Criswell College, a Baptist school in Dallas. And then it’s reported in the same story. This is just one documented incident. Thoughts? Yes, I too am praying for Dr. Caner. Seems to me that the only discrepency is the dates – 1969 or 1978. I have mispoken on things like that from the pulpit or platform I’m sure. Mine just aren’t recorded and archived. 🙂 My thing is – if somenoe as brilliant as Caner was going to lie, don’t you think it would be a little more well crafted than picking out random dates for big events in his life? Why do you characterize people questioning the inconsistencies in Caners’ testimony as an attack? I know for sure that Dr. Caner was born in only one place, and I know for sure that Dr. Caner has said he was born in Stockholm, Sweden, and that he has said he was born in Istanbul, Turkey. I know for sure that Dr. Caner was in the U.S. before 1978, because there are court documents from his parents’ divorce that prove it. I know for sure that Dr. Caner wasn’t watching the Dukes of Hazzard in Turkey before 1978, because the Dukes of Hazzard started in 1979. Emir Caner got saved on November 4, 1982. At least one of those is false. Since Dr. Caner was born in only one place, but said he was born in Stockholm, Sweden and that he he was born in Istanbul, Turkey a contradiction exists in what he has stated which cannot be reconciled by further research. Since Dr. Caner was in the U.S. before 1978 and yet said that he was not, a contradiction exists in what he has stated which cannot be reconciled by further research. Since Dr. Caner wasn’t watching the Dukes of Hazzard in Turkey before 1978 but has said that he was, a contradiction exists in what he has stated which cannot be reconciled by further research. a contradiction exists in what Dr. Caner has stated which cannot be reconciled by further research. You need not “listen to or search out everything Caner has ever said” or wait for LU in order to *know* that Dr. Caner has not spoken the truth with respect to these items. I hope this helps. For some reason the tags didn’t work. So, pertaining to your response, do you characterize TurretinFans’ questions as an attack? No I wouldn’t say so. I’m sure he’s a nice guy who is looking for the truth in the matter. There are some out there who are not, however. First of all, congrats on your graduation! I understand that you are busy, but as you admit you have not done your research and so your post on the subject, while well-intentioned, is a bit off. Dr. Caner is not “under attack”. He has stated many (many!) things publicly that are false. Christians have pointed this out (which is biblical) and have asked for a (biblical) response which is to A) explain himself or B) repent. If you do the research that many others have done you will see that we do know for sure that Dr. Caner has lied about his past. In fact, the AP article alone shows a contradiction in Dr. Caner’s claims. Four minutes is more than enough time to tell a lie, but Dr. Caner has had much more than four minutes. For example, he gave his testimony for about half an hour and it was just recently played on Focus on the Family. The story Dr. Caner gave there unfortunately contradicted the background information we know about him from court records! Unless Dr. Caner has forgotten his entire background, then he is guilty of embellishing and lying about his past. It is important to exercise discernment, not just accept whatever people (even your professors) say. Dr. Towns can be wrong. For example, Dr. Towns said that LU would not be investigating Caner and now they are. Since both lying and truth-telling are by definition ethical and moral issues Dr. Towns was incorrect in what you quoted from him as well. None of us want to see this happen, but even if LU ends up claiming that Dr. Caner has not embellished his story and lied about his past, there is a wealth of audio and video where Dr. Caner does exactly that. The reason we know that he is not telling the truth in those places is because we also have access to the public records of his past. Hold the presses – I didn’t admit I haven’t done my research (who am I Eric Holder? haha). I admitted that I researched what I felt I needed too (James 1:19). I am waiting to see the official report from Liberty, which will be scoured as well by every news outlet. THEN, I will take the time to look into it further. You’ll notice I have not made any claims outright defending the man – because no one knows the truth at this point, in my opinion. My blog post was intended to voice my opinion that too many people are jumping to conclusions. Let me be clear for everyone (again): If Caner is found to have been perpetually lying, I will be the first to accept it and say that he should step down. But until then the rumor mill should be stopped. That’s my view! 🙂 Thanks for the comment! I have taken the time to go through the court documents, audio and video files, and blogs and have concluded that Dr. Caner is in fact (sadly) lying. You wrote that you have not gone through all of this information. Now, do you still think I am “jumping to conclusions” or might it be that you have jumped to a conclusion about my “jumping to conclusions”? 😉 I also believe that I have obeyed James 1.19. The verse does not mean that someone can never speak the truth concerning a matter. Thankfully, you have not personally attacked people here, and for that, I thank you and commend you! Hmmm….I don’t think these embellished inconsistincies constitute removal….I mean…its not like he pulled a Peter and flat out denied knowing Jesus Christ. Forgive me for not spelling your name correctly in my previous comment. I did not intend to put words in your mouth, and for that I apologize. However, I do not believe that you have done your research. Just a look at the comments which have been posted here shows that Dr. Caner has lied about his past, and believe me that these examples are just the “tip of the iceberg”. You wrote that you have not listened to or searched out everything that Dr. Caner has ever said. I doubt that anyone ever has. But please note that we do not have to listen to or search out everything that Dr. Caner has ever said in order to prove that he has lied. Surely you have come across people in your lifetime whom you knew to be lying even though you had not searched out everything that they ever said. You wrote that you have not read all of the accusations. Again, you need not do so in order to see that Dr. Caner has lied. Take a look at the information in the comments here, or visit TurretinFan’s blog. A link was provided in my previous post. There is even more elsewhere. You wrote that you have not been through what TurretinFan has posted on his website. Just half of an hour there will confirm that Dr. Caner has, unfortunately, been caught lying. You wrote that you will look into this further after LU investigates and the media addresses it, which implies that your research at this point is less than complete. I do hope you will not simply take LU’s word for it on this subject, especially given that the stakes are high for them! With all due respect, people are not “jumping to conclusions”. People have been spending a great deal more time than you appear to have spent studying this subject in great detail. As a result of their research, we can, in fact, know the truth concerning this matter. Contradictions have been posted here which you have not responded to. How would you defend Dr. Caner concerning his jokes about watching the Dukes of Hazzard when it was not even a television show when he says he was watching it, for example? At some point you must realize that we cannot just dismiss every inconsistency in Dr. Caner’s stories as him making “mistakes”. I meant to write one more thing. These are not rumors. Dr. Caner has consistently and publicly said things that contradict the court documents about his past. Sorry that I did not get that in my last comment. This is nothing more than a witch hunt….I shall call the exposing group….”Fatalists Unite”….I can’t wait to make some FU T-shirts with James White’s face on em….I can’t believe he thinks these events are inconsistent, and they are, given the exegetical leaps he takes with the Scriptures. Actually, nevermind, I say we burn Ergun at the stake like Servetus so we can really get Christ-like. David Campbell’s comment here is an example of what I mentioned earlier. Rather than defending Dr. Caner by showing how the court documents and Dr. Caner’s audio and video are consistent with each other or providing other evidence, David has resorted to attacking James White and making jokes. But note that Dr. Caner lying has nothing to do with James White! This will be my last comment. May God bless you and may you do well in whatever you pursue now as a graduate! Give the glory to God. Hey, isn’t this attacking James White now, the very thing this blog post was trying to repudiate? No, I did not disguise my post as being compassionate towards unfortunate circumstances surrounding James White. Nor have a wasted hours of my time ingnoring the Great Commission in order to drop in on a strangers blog and refute White’s character, judging his entire character and existence upon a few apparent lies whose motive has yet to be determined. Well Marc, there is clearly evidence on this blog that Akuyper is not genuinely concerned for His brother in Christ’s well being. Though he gave this Christian tenet lip service in mere parenthesis like (sadly) and (I got to see his ministry), obviously it wasn’t genuine enough to be a part of his actual post, but only a mere aside. My knowledge, infallible and complete via the internet documents, allows me to unequivocally state “Akuyper is a LIAR and a HYPOCRITE”. I was not defending Ergun’s sin, I was merely exposing your motive. If I defined great instruments of the Lord by their failures…He would have none…John Calvin was a murderer…which in the human mind is a worse offense. I know you stated that would be your last post…but would you please explain why you are so concerned? Also, are you a 5-point Calvinist? You relegated your “sadly” above to mere quotations. Based on the complete asbsence of any compassion or understanding, I would say you are not sad, and that you also, sir, are a liar. also, could you please show me some documentation that demonstrates you honestly think the event is sad. Marc, may I politely suggest that if you are too busy to read all the evidence, then you should be too busy to comment as well. Do the homework first; then draw conclusions. I didn’t draw any conclusions yet. That’s my point. To me the video and audio evidence is overwhelming…the man has lied. I decided to look up in the Virginia Court Database to see if Ergun Caner has gone to court at all to see what he used for a legal middle name. Guess what…it’s Michael. Not only that, the man has gotten 6 speeding tickets in the last two years in VA. Plus a red light violation, improperly working speedometer (bet that’s what he told the cop) and others. Just a couple of weeks ago he got stopped going nearly 20 mph over in a school zone. He’s past due paying the fine. I don’t know hardly anyone who has ever gotten six speeding tickets in two years. He perpetually is breaking the law. What kind of example is that for a seminary president? I decided to enter the name Falwell into the same counties and guess what? No speeding tickets for the Falwell brothers. Guess they actually have a conscience and obey the law. David: With all due respect, now we pull the I’m a better evangelist card? Notches on the ole belt? Please. You certainly took enough time to write how many comments and not one dealt with the issues? It doesn’t take a lot of time to realize Dr. Caner’s embellishments. It took me about 8 hours. This has nothing to do with James White, which is shooting the messenger on your part. It does show that some do not take integrity and truth telling seriously. And what of those who you evangelize? Why should they believe you if you are for embellishing? The end justifies the means? Jesus Christ, the Apostle Paul and the very Bible itself would disagree with you. Pull the better evangelist charge…notches? I see you have judged my motives with a crystal ball, however, I’ll give it to you from the horses mouth. My motive behind the statement was to point out that, as in your case, you ignored the Great Commission for eight hours. I’m assuming you feel guilty and are trying to rationalize this via a post. Its ok, I understand. I would be interested in how the Lord and yourself has benefited from this entire work day of your life. a few…time totalling about 5 minutes. You truly are a disciple of White for, in fact, you are attacking someone just because they find fault with the bloody hands of one who forced medieval philosophy upon the Word of God. Could you please show me where I said I was for embellishment? Now, I can point to White’s sinful behavior as a cause of much time wasted by individuals such a me, though minutes, and individuals such as yourself, whole work day. His universal concept of the church requires Him to take a fault to a brother individually first, then with company, then tell it to the church…I guess you are for ignoring White’s interperation of Matt. 18:17? What will the elect think of you? I’m nearly 50 years old and I can still remember where I was born. Can’t imagine ever telling anyone for any purpose that I was born somewhere I was not. 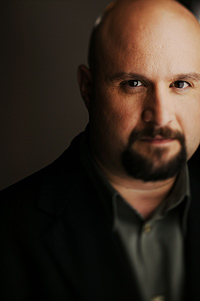 Saw the Huffington Post….one thing I disagree with is Ergun Caner is not one of the most prominent evangelicals. I doubt the average Christian has ever even heard of him. I live in Lynchburg and recall an article about him in the paper when he was hired at LU, but if it hadn’t been for the fact I live in Lynchburg and had hoped to attend the debate between James White and Caner, I would have never even heard of the guy. So while he is known in Baptist circles, I really don’t think most people know who he is. But I think a heck of a lot people will end up knowing who he is now, and not for what he should be known for. Reading the comments posted on here today have made me truly glad I have nothing to do with Christianity; and from the attitudes shown here – any of you. well said Bryan, I am convicted and ashamed…please forgive me for not representing my Lord. Dr. Caner has played a part in my life and ministry. Many of his students have also been my own. My use of parentheticals was not intended to downplay the significance of how unfortunate this situation is. I truly am saddened by all of this. Please forgive me for the confusion and accept these statements explicitly stated without the parentheses as being genuine. They are. Please keep in mind, as I think you have been reminded of above, that you do represent your Lord. Please attempt to use greater restraint in what you post or else do not post at all. I do not want to believe that Dr. Caner is guilty of lying anymore than his most ardent “defender”, however there is abundant evidence that this is the case. If I am wrong then I would appreciate being shown how I am wrong, however attacks on James White, attacks on me, and questions about Calvinism have absolutely nothing to do with the subject at hand. The reason I have posted this even though I wrote that my last comment would be my final one is due to the string of comments left by David Campbell wherein I was named and my character attacked. Funny how literal, simple, and black and white all truth is to conservative evangelicals… until black and white evidence shows up “attacking” someone’s favorite evangelical. All of a sudden, truth is complex, complicated, mysterious, somewhat relative to context, memory, and motives. Truth is not relative to anything. It is black and white. As far as the relativity factor goes, there is stronger evidence for the fact that Caner lied than there is that a premillenial reign of Christ will be a literal thousand years. Yet LU is convinced of the latter and very dazed and confused about the former. Something caught my eye when re-reading Marc’s original comments. Caner told a pastor friend of Marc’s that he was the first to call and encourage him. I find that VERY hard to believe. I was married to a pathological liar for nearly 18 years, and these are the types of lies a pathological liar will tell to get sympathy. You can’t tell me that at this point NO ONE, not even fellow professors had encouraged him. Caner was trying to evoke sympathy big time with that letter he wrote to his colleagues at LU about all the attacks he was facing. My gut feeling based on years of experience is that Caner is a pathological liar. These people have no concept of accountability or realize that others can piece together the lies and figure it out. They always BLAME BLAME BLAME everyone else for the trouble they find themselves in. I think LU will figure it out and Caner will be fired. I talked to a friend who has gone to TRBC for years, and she said Elmer Towns is a dear sweet old man who strikes her as being very gullible and hence the defense of Caner at first. He was the first PASTOR to call him, as the original post clearly states. That I can believe. In most towns, pastors don’t communicate with each other so much. I’m sure Caner has had encouragement from a variety of other people. I’m glad that we don’t convict people based on “gut feelings” in this country. I don’t need a “gut feeling” to see that Caner is a liar–there’s plenty of video and web evidence for that. I am just guessing that he’s a pathological liar because of his lying despite the possible consequences and just making up stuff as he goes a long. And blaming everyone else for the trouble he is in. Of course, I am not a psychiatrist. What’s the deal with the videos of Caner being tasered at church events? Is that real? Someone pointed out that if that were a true tasering, the men holding onto his arms would have been shocked too…but they seem to have no effect. And in the videos I’ve seen of tasering people–they don’t just get up and act normal in a few seconds. Either he’s not being tasered or it’s low dose. He’s a showman for sure. The question is whether or not LU will demonstrate that the Kingdom Reign of God over the life of believers causes us to behave differently than the Kingdom Reign of the World. The fact that Caner lied isn’t the scandal. Christian theology says we’re all liars – no surprise there. The question is whether LU will seek to correct this in a way that maintains the integrity of the academic program AND seeks to help and restore Caner. OR… will they play by the rules of the world’s kingdom and consider donations, financial impact, enrollment, and reputation over everything else and either throw Caner under the bus entirely or play a very deceptive cover up game. As an LU grad, I find it hard to think LU will follow a Kingdom solution. The world’s ways (bigger is better, debt is cool [someone will bail us out], reputation is king, “we’re better than that school”, anyone who criticizes us is of the devil, we slander anyone who gets in our way) has been the modus operandi of the school for a long time. I witnessed it daily. I’m praying that LU gets trapped in a lose/lose situation (as far as the world sees it) and is forced to surrender to doing the right thing – make Caner step down, and then minister to his real needs and someday… if he responds to that ministry, restore him to where he REALLY belongs in ministry. I am truly disappointed in Dr. Caner and LU’s initial response. Elmer Towns is an embarrassment to the university for stating that Dr. Caner did not do anything immoral or unethical. Dr. Caner did apologize on the internet, but then nullified it by saying he never intentionally misled anyone. I was born in Istanbul, Turkey. He was not. I was raised near the Turkey/Iran border. He was not. I came to America in 1978. He did not. I came to America through Brooklyn at age 13. He did not. I was trained to do what the terrorists did on 9/11. He was not. I was in the Islamic Youth Jihad until age 15. He was not. I learned English by watching the Dukes of Hazard. He did not. I spoke broken English. He did not. I debated a specific Muslim in Nebraska. He did not. I have debated Muslim leaders. He has not. I have debated religious leaders of other religions. He has not. He was born in Sweden in 1966. He came to America before 1970. He was raised in Columbus, Ohio. He was educated in America. His parents divorced when he was nine. His father was active in a mosque. He came to Christ around age 15. He attended evangelical colleges and seminaries. He had evangelistic encounters with people from other religions. LU has taken action. They have corrected Ergun Caner’s bio. They have removed the inaccuracies. They removed when he came to America, mention of Turkey, and mention of his numerous debates in 40 states and 13 countries. They are investigating his background. But their previous statement by Towns is more embarrassing then Caner’s falsehoods. Dr. Caner at the very least needs to apologize. He needs to state clearly and unequivocally that he misrepresented his background. We may assume that he did so to capitalize on his Muslim background in the wake of 9/11. The evidence is that E. Michael Caner became Ergun Mehmet Caner after 9/11, another falsehood. The sad truth is that his actual testimony was sufficient enough. He could have said that being raised by a devout Sunni Muslim father gave him a unique perspective into the mind of the Muslim terrorists and on indoctrination. He didn’t have to lie. That is what is so sad. A key verse for Christians is Bible 3:15. The Lord’s Prayer, “The Lord is my shepherd,” was foundational to my prayer life. The Eucharist is a depiction of how a believer is baptized into the body of Christ. Before we listened to the sermon, we sang verses. The Lord’s lunch is celebrated weekly or monthly in the churches. Ergun does not know what he is talking about. If an ex-Christian stated the above, he would be laughed at. If he presented himself as an expert in Christianity, he would be soundly ridiculed. So the more I think about it, Ergun Caner had to lie in light of his abysmal knowledge of basic Islam. So there is a fourth area in which he lied – what he knew about Islam. Sad. Marc, in defense of drawing conclusions–I suspect that we all have the same data that LU has. With the obvious exception of EC’s statement (the first thing I would get if I were the committee) of his life and testimony. We are not drawing legal verdicts but simply rendering a conclusion based on what appears to be very clear and credible data. We have EC’s statements recorded in dozens of places (less places now for some reason than a few weeks ago, but usually there are copies and caches) and we have copies of publically available court and tax records. They simply don’t agree. They are not even close. And EC benefitted financially (book sales, speaking fees) and careerwise from the contradictions. And the persona “EC–former super Muslim” appeared magically just after 9/11. Opportunism is a word that comes quickly to mind. I absolutely understand the data and everyone’s concerns. I am just choosing to await the LU findings and go from there. As I’ve said, if he is shown to be guilty I think two things will happen: LU will act on it (not ignore it, as some have hinted) and I will be the first to concede that Caner was wrong. Lies do matter, absolutely. As for what should be done about them, I believe they should be investigated by the university (which they are doing) and appropriate actions should be taken (which I believe will happen). As I’ve said, Liberty is bigger than Caner. It’s bigger than any individual. Thanks for the well thought-out, civil comments. I have no personal problem with the discipline but marvel at the total lack of public accountability. “I shall not participate in this anymore. “I admitted that I researched what I felt I needed too (James 1:19). I am waiting to see the official report from Liberty, which will be scoured as well by every news outlet. THEN, I will take the time to look into it further. You’ll notice I have not made any claims outright defending the man – because no one knows the truth at this point, in my opinion. My blog post was intended to voice my opinion that too many people are jumping to conclusions. The report has been out for a while. Are you going to review the situation? If you don’t, I’ll understand. I’m going to take back what I said about understanding if you don’t review the situation. I did this after re-reading your posting. I have mixed motives in this tacky comment. But I can’t remember anyone who has changed his/her mind on this and I thought I’d see about you. You made what I regard as an “honorable” post. Most defenders don’t put anything specific into their postings but you did–but the items that you selected are clearly things that never happened–and things that got EC demoted. The resistance to opinion change on the part of most people puzzles me. I did experimental research (among other things) for 33 years. When you do that you frequently form an opinion, do an experiment, recognize that you are wrong and form another one. Maybe I just had lots of practice at changing my mind. But why would you want to participate in these discussions if you were not open to change in some respect. You are making arguments in an effort to cause others to change their opinions. I graduated from Union University. I don’t have much pull there, but I assure you that if EC were on the faculty at UU, I’d be writing David Dockery regularly along with anyone else I knew or had contact with that might have influence. Want to be the first to change an opinion? Sign up to receive my blog posts via e-mail and receive notifications of new posts.